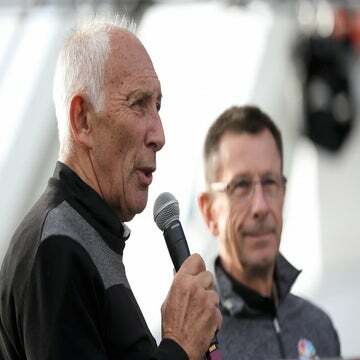 The 30-year-old American, who will set out on Saturday bidding for a fourth successive Tour de France crown, was persuaded to invest in it by former English professional cyclist Paul Sherwen, who is now the managing director of the mine. Armstrong was following in the footsteps of former Motorola team-mate Ron Kiefel, Mike Plant, a director of the Goodwill Games, and Jim Ochowicz, former managing director of Motorola, who had all visited Sherwen in Uganda. The trio along with Sherwen invested enough to secure a 2 percent holding in the mine which the Englishman says came in very handy at the time. “Of course everybody, Lance included, invested because they were friends, but they did it at a time when we badly needed money,” Sherwen said. Sherwen, who rode in seven Tours de France and is now an Outdoor Life Network pundit, had first come upon the mine after his father moved out to Uganda to work as a chemist. “When I was a kid, I visited this mine which was being developed by Franck Howitt, my dad’s best friend, and he became a kind of adoptive father,” Sherwen said. “During my career as a rider and afterwards I invested in the mine. “I never thought I would end up working there,” he added. 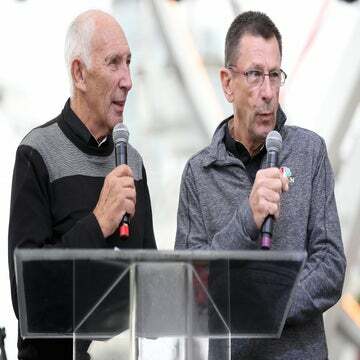 Sherwen will be able to tell Armstrong how the balance sheet is looking on Saturday when he fills his other role as a TV commentator as the Tour de France kicks off in Luxembourg – hopefully it will be a golden moment.